Drink baby Drink. No I am not talking about booze. I am talking about water. Water is important for health. Don’t be de-hydrated. Drink to lose weight. Drink for smooth skin. Drink enough water. Water is most natural form of hydration. These are the advices we hear on the daily basis. But how much water is enough for our well-being? Less intake of water will result in de-hydration while over drinking can result in problems as serious as kidney failure. Moreover generalizing the quantity like drink 8-10 glasses of water every day is also not correct, because the need of water depends on various factors. Couple of examples mentioned below. Season – During summer season our body requires more water as compared to rainy season. 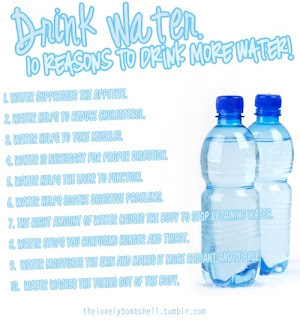 Physical Activity – We require more water intake when we are more physically active than on other times of the day. For example when we sweat we lose water from the body. Intake at that point of time is more important than on other times. Water requirement is less when you consume water content fruits like watermelon, papaya etc. So now coming back to our question, how much water is enough water, I would highlight below pointers to help you decide the quantity for yourself. 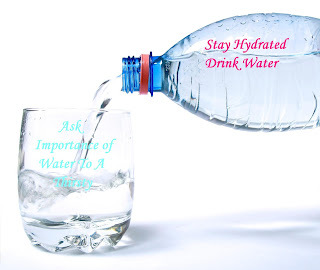 First of all back to basic point on drinking water – Drink when you feel thirsty. No matter if it is in between the exercise or in between the meals. If you feel like having the water have it irrespective of any situation. However keep in mind to have it in sips. Do not gulp the entire glass in one go. Drink more when you are indulged in physical activity. Thumb rule is more you sweat, more you have to drink the water. It is normal that trip to washrooms will increase because of more intake of water. However if you are peeing every half an hour, you need to decrease the intake of water. If the color of pee is too yellowish in color you are dehydrated. Increase the water intake. You are drinking enough if it is colorless. Drinking water should be equally distributed in the entire day. I mean you should not gulp in couple of liters of water in one go and then do not drink for rest of the day. It will not help. Drinking water at regular interval is important. If your profession involves constant movements like that of athletics then you need more water as compared to other profession people. Click here to read if it is good to drink water in Plastic Bottles? Drinking adequate water at proper intervals will not only help you in losing weight but also in giving soft supple baby like skin and strong hair. Are you drinking enough water? Do share with us how many glasses of water you drink on the daily basis and do you believe in generalizing rule of 8 to 10 glasses of water every day?